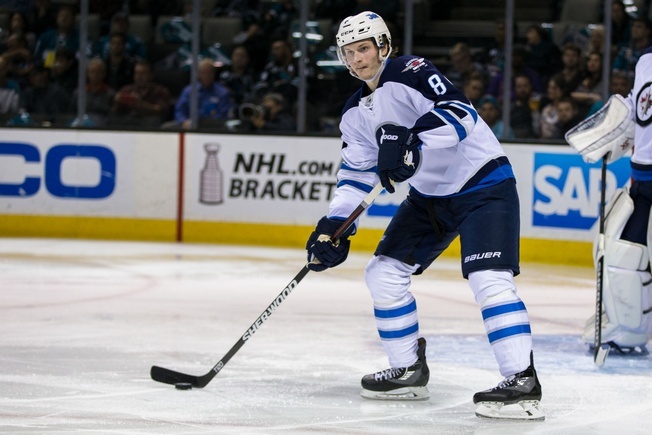 Jacob Trouba has rescinded his trade offer and says he’s committed to the Winnipeg Jets. As we discussed yesterday, the defenceman signed a two-year contract worth $6 million and ended a contract stalemate. Trouba had asked for a trade out of Winnipeg back in September, claiming that he wanted to play more hockey on his right-hand side. He missed the first 13 games of the season due to the contract dispute and many assumed that he wanted nothing to do with the Jets or Winnipeg. But with the ink dry on the contract, things have changed. And Trouba will play hockey. He took part in the morning skate on Tuesday, but won’t be in the lineup against the Dallas Stars. The plan is for him to play on Thursday against the Arizona Coyotes, with head coach Paul Maurice potentially shifting him between the left and right sides. That rather obvious statement aside, it’s now up to the Jets and Trouba to resolve any potential ill will. His determination to ask for a trade out of town probably didn’t go down well, but most players can appreciate the business aspect of the game and move on. Still, Trouba seems at least committed to saying the right things. Trouba was selected by the Jets as the ninth pick in the 2012 NHL Entry Draft. In 211 career games, the 22-year-old defenceman has 23 goals and 49 assists. His best season was his rookie season, when he posted 29 points in 65 regular season games. Previous Are the Vancouver Canucks Facing an Existential Crisis?